Luxury Apartment Boom–is it going Bust? Groundhog Day is in 22 days…. If you own or are considering owning high end apartments as rental properties, do yourself a favor and check out this article from the WSJ. 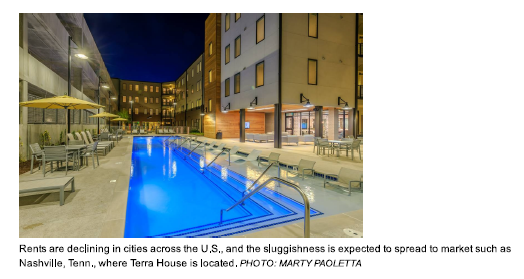 When a reporter uses vocabulary including “rough conditions” and “slash rents” and “deep concessions” and “glut of supply” ALL in the same sentence, that’s a not-so-subtle hint of the valuable information in the news article. Certainly, every market segment from first-time renters to move-up renters to empty-nesters has an ebb and flow to it. It’s capitalism and the forces Adam Smith described centuries ago. What you do with this information is the critical point and take away. Depending on your current interests, this could also be a buying opportunity for some savvy investors to pick up units from distressed landlords. As always, here’s to your pursuit of Financial Freedom!